The countdown on AbsoluteTabletop.com has ended, and we’re live – an actual, bonified publishing company. We can’t tell you how excited we are. This is the start of something amazing for us, and we couldn’t have done it without you. 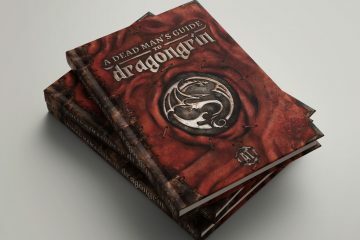 RPG SUPPLEMENTS: More options for use in any of your favorite roleplaying game systems, including additional races, classes, magic items, encounters, locations, and more. 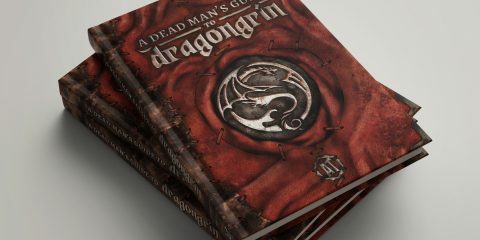 GAME MASTER INSPIRATION: Inspirational content like roll tables, practical advice, GM preparation worksheets, and more. CAMPAIGN SETTINGS: Utilize the people, places, and stories from your favorite online games, including The Provokers, The Winds of Sur Salin, and The Copper Jackals. 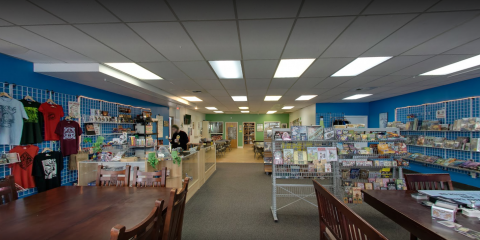 ANNUAL CHARITY SUPPLEMENTS: Gamers are exceptional givers, and we want to present a chance to express that generosity via periodic non-profit products. All proceeds of these items will go directly to worthwhile charities. BI-WEEKLY RELEASES: New material every two weeks. YOUTUBE INTEGRATION: Every supplement accompanied by a YouTube video on one of our channels to further inspire, motivate, and help you to get the most out of our content. PAY WHAT YOU WANT: All supplements will be pay-what-you-want for the first week following release. Want it for free? No problem! The choice is yours! So when does all of this kick off? Believe it or not, Matt Click (AFistfulofDice), Tim and James Kearney (Tabletop Terrors), and Barker (BeABetterGameMaster) have already been hard at work preparing the first release! 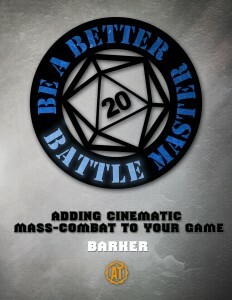 Kicking it off, we have “Be a Better Battle Master,” packed with practical advice on bringing epic-scale battles to your game table – and more importantly, how to make them simple, fun, and cinematic! Adventure hooks, magic items, and characters from Erenoth’s most infamous tavern – the Wayward Wanderer, meeting place of the Provokers. 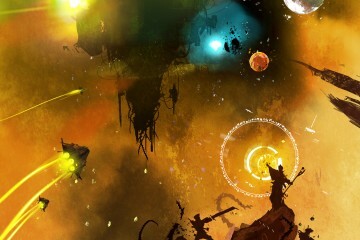 Learn more about the crumbling tower’s dark history, find statblocks for Kinra the dragonborn merchant and other NPCs, and teleport across continents using the Ring of Three Strides. We’re toiling away behind the scenes, working together to write many more. In fact, here, have a free supplement! Enjoy “Absolute Encounters: Goblin Go-Karts!” It’s a fast-and-furious combat encounter (including a battlemap) involving death-racing goblins in minecars! 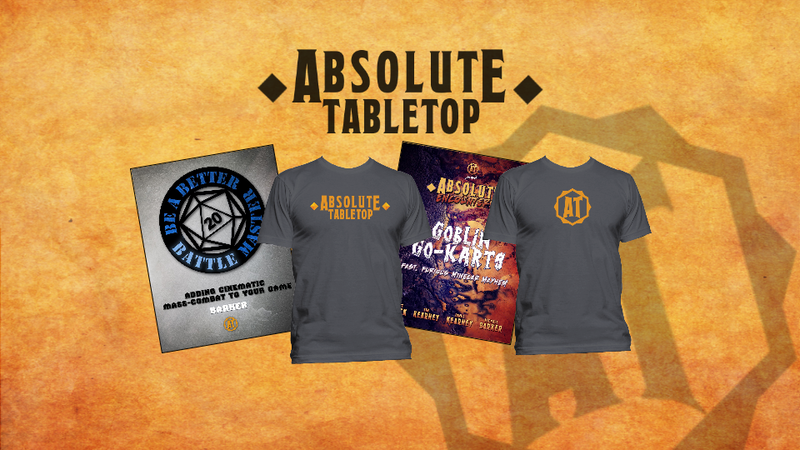 Consider it our way of saying “Thanks!” for supporting Absolute Tabletop from the very beginning. Please join us for a live launch party and Q&A on Saturday, September 5, at 12 p.m. PDT / 3 p.m. EDT on A Fistful of Dice (youtube.com/afistfulofdice). We’ll be hanging out, talking Absolute Tabletop, and answering your questions about what you can expect from us. The most amazing part of all of this is that we’re making these supplements with some of our best friends – and that includes you. We’re excited that you’re a part of this journey, and we can’t wait to show you what we have in store.